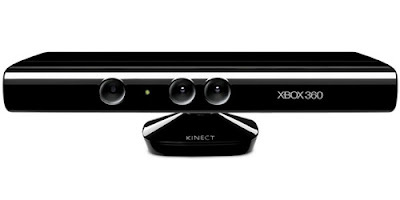 TechnoFYE: Microsoft Kinect, Say "XBOX"
Last night I decided to watch a marathon of TED talks on Netflix through my Xbox 360 while I caught up on folding laundry because that's how I roll on a Monday night. So after my fifth or so talk, I needed to play the next show and realized the batteries were dead in my controller. No biggie, I'll just use the other one, which has conveniently disappeared. So, solution two, new AA batteries... and no, none of them left either. That's when my TED fed brain kicks in and I say "XBOX!" For any of you that have the Kinect add-on for your Xbox 360, you know that it not only does motion but voice as well and that the voice can be used to navigate the menu options. So, in a last ditch effort to extend my TED talk extravaganza, I said, slightly louder than my normal volume, "Xbox" and got that comforting little "bing" sound that means I may speak my command. So almost futuristically I tell it to "play next episode" and it obliges me. I know that voice technology is nothing terribly new or extraordinary. However, thinking about the existence of something that seemed so futuristic in my childhood now being commonplace is pretty amazing. The realization that any technological innovation could be just around the corner sets my expectations for our future just a little higher. So what do you think? Let me know in the comments below, or you can catch me by email, at twitter, on Facebook, or Google+. Thanks for visiting TechnoFYE.